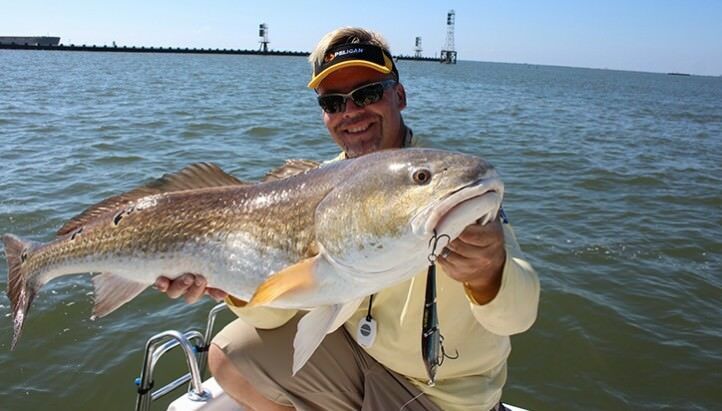 Mark Davis travels to Venice, Louisiana chasing Bayou Bull Reds. Mark Davis travels to Islamorada, FL for Snowy Groupers, Amberjack, and several other species. 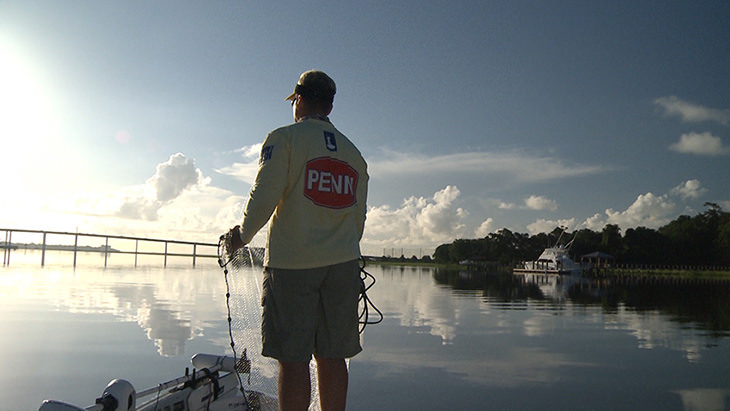 Mark Davis travels to Charleston, SC for a do it yourself Redfish trip. Mark Davis travels to Port Mansfield, TX and heads to the rigs for big Yellowfin Tuna, Wahoo, Red Snapper, and Kingfish. Mark Davis travels to Boca Grande, FL fishing for Sharks and Goliath Grouper. Host Mark Davis travels to Crocodile Bay in Costa Rica targeting Cubera Snapper, Roosterfish, and Blue Marlin. Mark Davis is in Montauk, NY fishing for Stripers in the surf as well as from the boat with some bonus Tautog. Host Mark Davis travels to Prince Edward Island, Canada targeting giant Bluefin Tuna. Mark Davis travels offshore out of Venice, Louisiana racking up 18 species including Yellowfin Tuna, Red Snapper, Blue Marlin, and Cobia. Mark Davis is in Virginia Beach deep dropping in 1000+ feet after Golden Tilefish and other deepwater species. Mark Davis travels to Soldotna Alaska for King Salmon then on to Seward for Lingcod and ground fish. Mark’s Panamanian saltwater trip continues with Pacific Sailfish, Marlin, and Cubera Snapper at the Tropic Star Lodge. 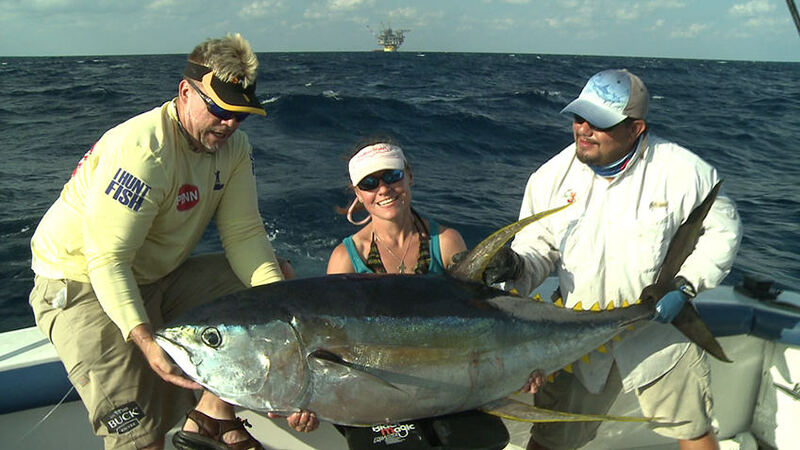 Mark Davis targets Yellowfin Tuna and Blue Marlin at the Tropic Star Lodge in Panama.